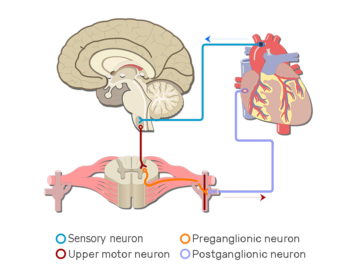 Pain signals are delivered to the brain by a route that involves two nervous system (NS) pathways. 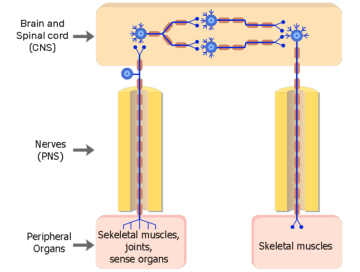 The first is a somatic NS pathway and the second is a central NS pathway. When the skin is penetrated by a sharp object such as a tack, the resulting damage is detected by pain receptors (or nociceptors). Electrochemical impulses (or actions potentials) are generated in somatic sensory neurons and conducted into the CNS. 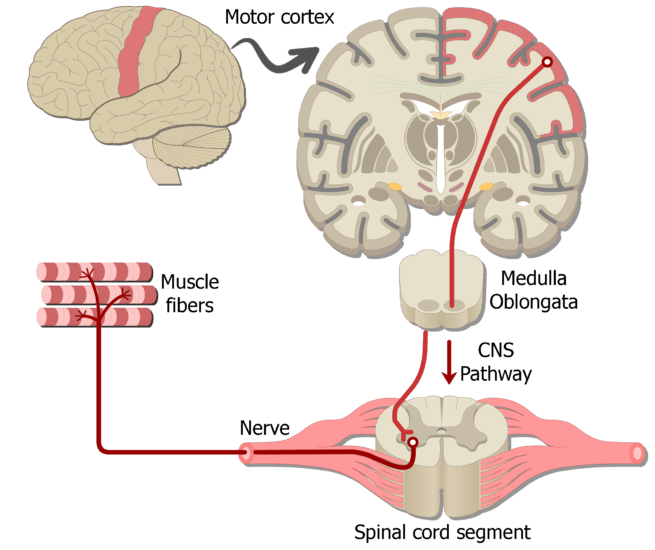 Another set of neurons carry the information up the central nervous system to the cerebral cortex, where the pain is imaged and interpreted. Conscious (or voluntary) response activities also involve two pathways. 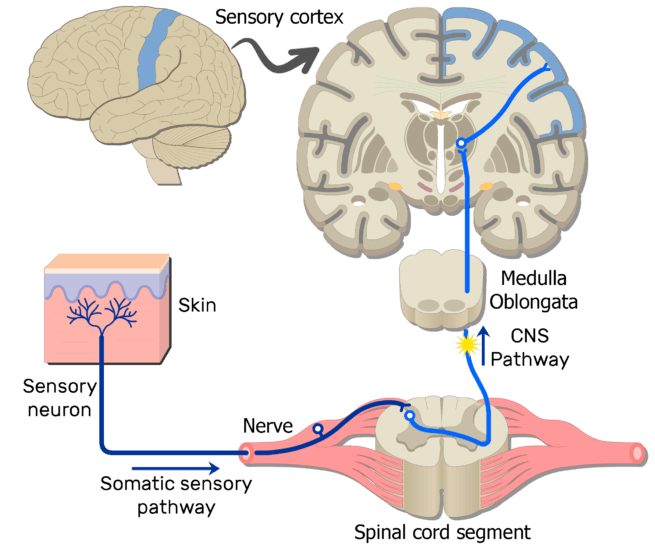 The first is a central NS pathway and the second is a somatic NS pathway. 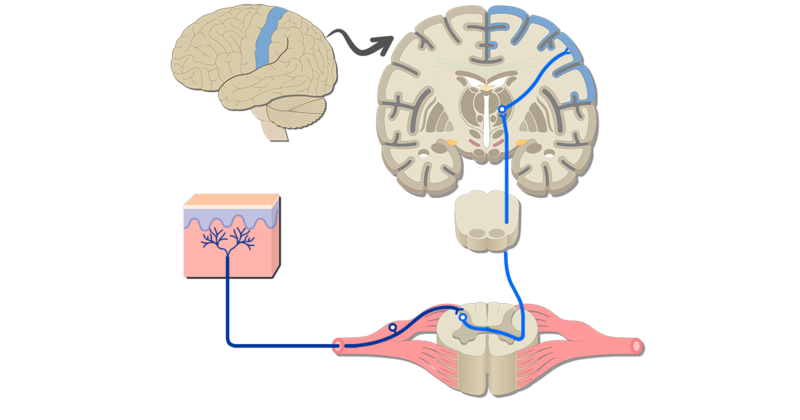 After stimuli (such as pain) are processed in the brain, other neurons plan adjustment responses (to remove the tack). 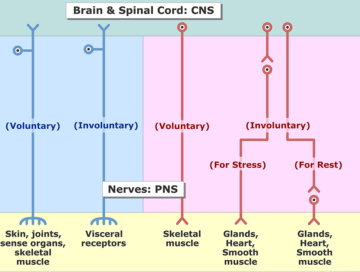 Implementation of a (pain) response begins when CNS neurons conduct impulses from the cerebral cortex to the spinal cord. In the spinal cord, the impulses are transmitted to somatic motor neurons, which carry them out to the skeletal muscles (needed to remove the tack). A diagrammatic approach to the structure & function of the peripheral nervous system featuring some comprehensive illustrations. 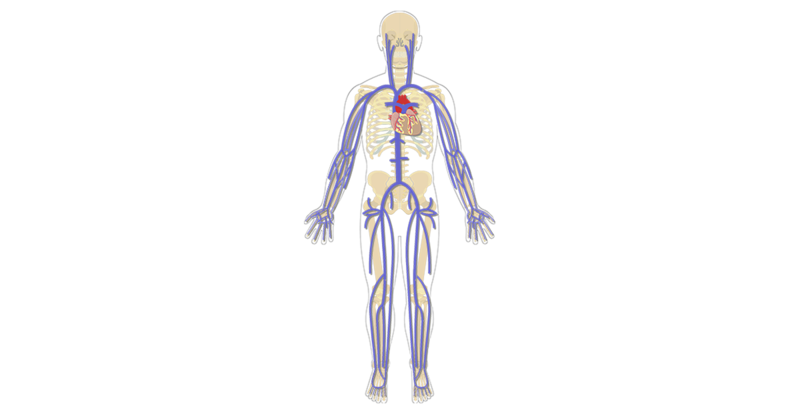 Sample Autonomic Nervous System Pathways; explained beautifully in an illustrated and interactive way. Organization of the Somatic Nervous System; explained beautifully in an illustrated and interactive way.